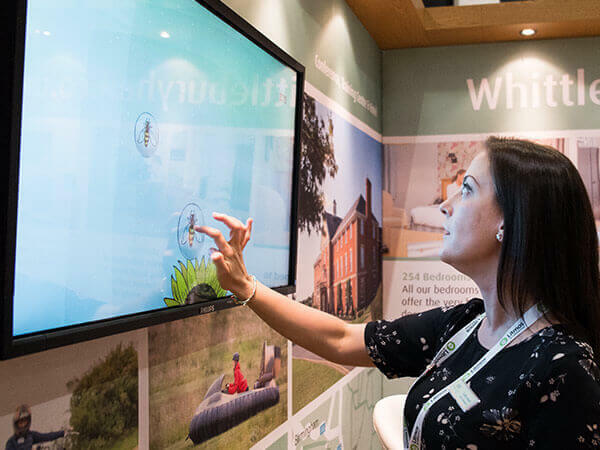 The aim of visitor engagement at an exhibition is to deliver a return on investment by creating positive memorable interactions. But how do you translate your exhibition stand into just that? Devising content to capture the imagination of your visitors and leave a lasting impression should be driven by your exhibiting goals and the audience of the show. If your aim is to educate potential customers, your content needs to be clear, concise and easy to digest. That way your visitor leaves your stand remembering the core functions or benefits of your product. If your intention is to drive leads and sales, your content could be fun and imaginative….Why? To make as many of your target audience join you on stand and want to talk to you. To retain business, strengthen relationships or drive up sales with existing clients, think about content that rewards, such as competitions and giveaways. You’ll also want to promote snippets of engaging content pre and post-show to maximise your exhibiting campaign presence. 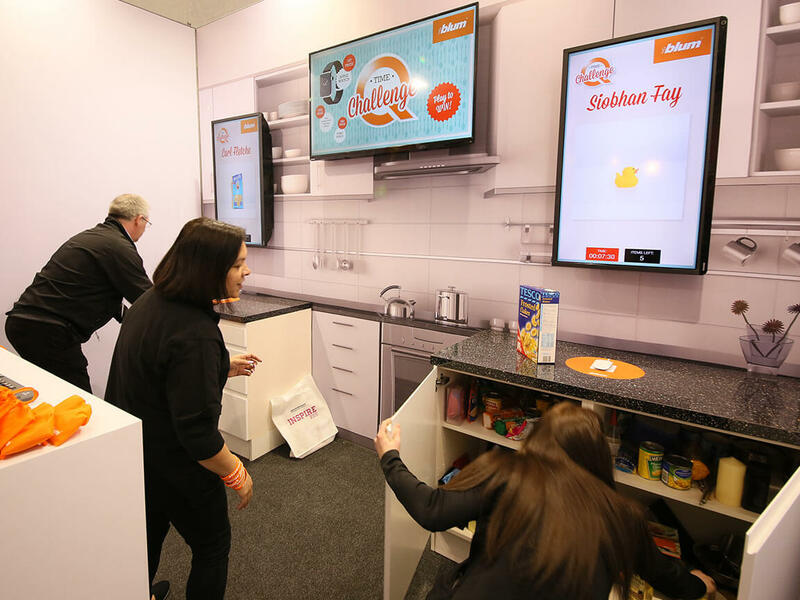 The idea is to create an overall brand experience that reaches longer and much further than the confines of the exhibition hall. No matter how great your exhibiting campaign and how engaging your content is, you need an appropriate platform that will deliver visitor engagement. Engagement tools can be physical or digital, as simple as a digital brochure on a media hub or as complex as a product demonstration in virtual reality. People are intrigued by new and exciting technology. It creates a buzz; a yearning to try something new – just look at the rise of virtual and augmented reality. Gone are the days you could walk through the park free from swarms of Pokémon Go enthusiasts capturing their next character from the nearby bushes! However exciting tools don’t always have to be in digital format or harnessing the latest tech. A sense of excitement can just as easily be created from a purely physical platform. The main rule of engagement tools is that whatever tool you choose; it must be relevant to the experience you want to deliver. With the right engagement tools and content in place, the third vital ingredient is the audience interaction that creates the memorable experience. We’re familiar with ROI (return on investment), but this is about a visitor’s return on involvement. At a trade show, each visitor might have 20 conversations with various businesses and probably remember 5 of those at most. So let the visitors that come to your stand play your game or be incentivised to participate in a survey. Scroll through some exciting content or immerse themselves in the virtual world you’ve created. Let them smile, enjoy the experience and then involve them in conversation. The more fun and enjoyable the interaction, the more likely it is your visitor will remember you (and for all the right reasons). Hey presto! 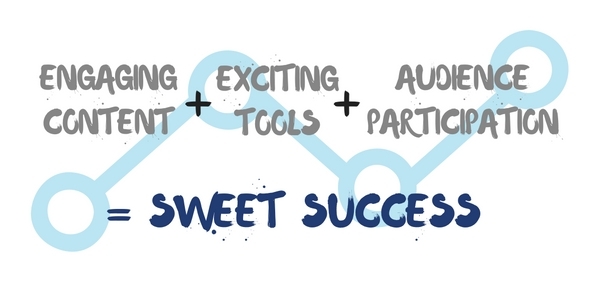 With this formula you can create successful visitor engagement that delivers a positive and memorable experience. This cornerstone of effective exhibiting should help you deliver on your goals for the show. It will also enable you to see a clear return on investment for your marketing budget.